Advance Medical Directives… Don't Leave End of Life Care to Chance | Melone Law, P.C. An advance medical directive, also sometimes called an advance health care directive, or living will is a legal document that gives you control over who makes medical decisions during times when you cannot make them for yourself because of incapacity, serious illness, or an accident. These directives allow an individual, known legally as the declarant, to specify what his or her health care wishes are, how they should be carried out, and who can make decisions on their behalf. This relieves a great deal of stress both from family members and physicians as the medical decisions can be made in advance by the patient themselves. If you don’t have an advance medical directive and name someone you trust to oversee your care, important health care decisions may be placed in the hands of family members, doctors, or even possibly judges, who may know very little about you, your wishes, and what type of care you would want. In Virginia, advance medical directives are authorized under the Virginia Health Care Decisions Act. To be legally binding, an advance medical direct must be in writing and signed by the declarant in the presence of two witnesses who also sign the directive. Appointment of a healthcare agent or third party to enforce the directive and make healthcare decisions for the declarant when he or she can no longer make them. Decisions as to anatomical gifts for organ and tissue donation. What are the benefits of advance medical directives? There are several benefits to creating an advance medical directive. You can make your own health care decisions about your eventual care in advance. Your directive and agent will speak for you and be your voice once you no longer can speak for yourself. You can update, edit, or change your directive at any time. 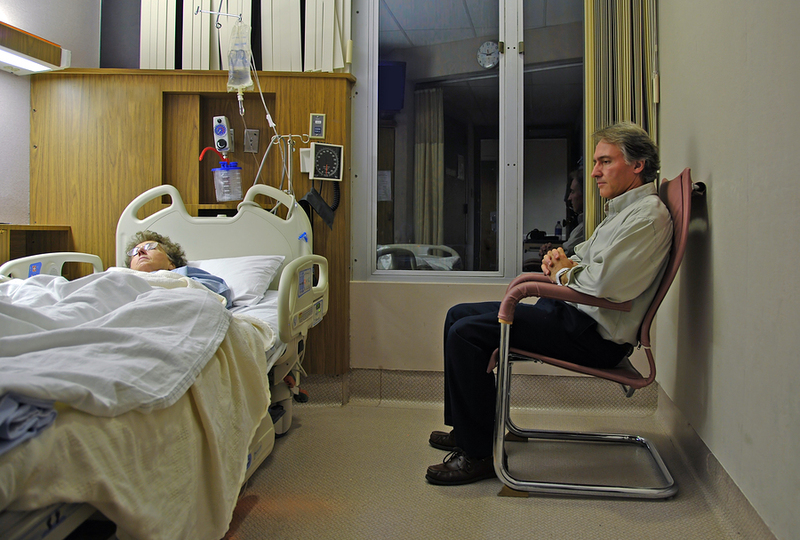 Making decisions about life-prolonging medical treatments, such as hydration, feeding tubes, CPR, ventilator or respirator assistance, dialysis, and even antibiotics, when you are well and have time to think and consider what type and how much care you would want if incapacitated, in a coma, or terminally ill will give you peace of mind. You may choose some, all, or no life prolonging treatments or extraordinary measures, or opt to receive pain medication and only palliative care. And, you can specify certain treatments for a finite period of time, after which, if your condition does not improve, treatment should be stopped. Your advance medical directive only takes effect when you cannot speak for yourself, so again, you must plan carefully about what you want your directive to say when it takes the place as your spokesperson. As long as you are competent, regardless of your condition, you will make your own decisions. When you are not, your advance medical directive and agent will guide the decisions used in your treatment. Your directive can be changed at any time. If your health situation or personal beliefs change, you can edit, update or amend the details of your advance medical directive. Be aware that this is a legally binding document and must be updated by legal means if you change your mind about all or part of your future medical treatment. Who should I appoint as my agent? An advance medical directive is also used to appoint an agent to carry out the declarant’s wishes, or otherwise to make decisions as to the declarant’s medical care. Most people name a spouse, partner, close relative, or even a friend as their agent. Under Virginia law, your agent must be at least 18 years old. Your agent should, regardless of their own personal beliefs, be your advocate and be willing to enforce your advance medical directive and health care wishes. Though your agent does not need to be a resident of the Commonwealth of Virginia, they must be able and willing to travel to Virginia if necessary. Your agent will begin enforcing and making health decisions for you once you lack the capacity to do so for yourself, and must do so in person. Who should have a copy of my advance medical directive? Once you have created your advance medical directive, the declarant should inform his or her primary physician and a copy of the directive should be included in your medical records. You should also make sure that copies are included in the files of specialists including cardiologists, oncologists, etc. It is also a good idea to give a copy to your agent, so that it can be reviewed and discussed, if necessary. You may want to share the details of your advance medical directive with your spouse, children, and other close relatives. And as with all estate planning documents, your attorney should keep a copy in your legal file. An advance medical directive is not a one-size-fits-all document. Meet with an experienced estate planning attorney to ensure that your final wishes as to medical care are carefully detailed so that they can be carried out as you planned. In this way, you can make sure that your family members do not undergo the strain of trying to make key medical decisions on your behalf, during a stressful time. In Virginia, Melone Law, P.C. is here to help. We offer a full range of estate planning services, including wills, trusts, powers of attorney, living wills and advance health care directives, estate tax planning, guardianship and conservatorship, and contested estate matters. Melone Law, P.C. is a general practice law firm based in Reston, and serves the Northern Virginia area. Our practice areas include Family Law, Divorce and Special Needs Children, Traffic Ticket Defense, DUI/DWI Defense, and Trust and Estate Law. Our philosophy is to provide all of our clients with the highest quality legal representation, innovative legal solutions, and unsurpassed dedication to customer service. Through our high standards, we strive to be a trusted resource to our clients. We know from experience that a successful attorney-client relationship depends on our ability to understand your needs and objectives. For more information about advance medical directives and other estate planning services, contact our office today at 703.995.9900 or visit our website: www.MeloneLawPC.com.